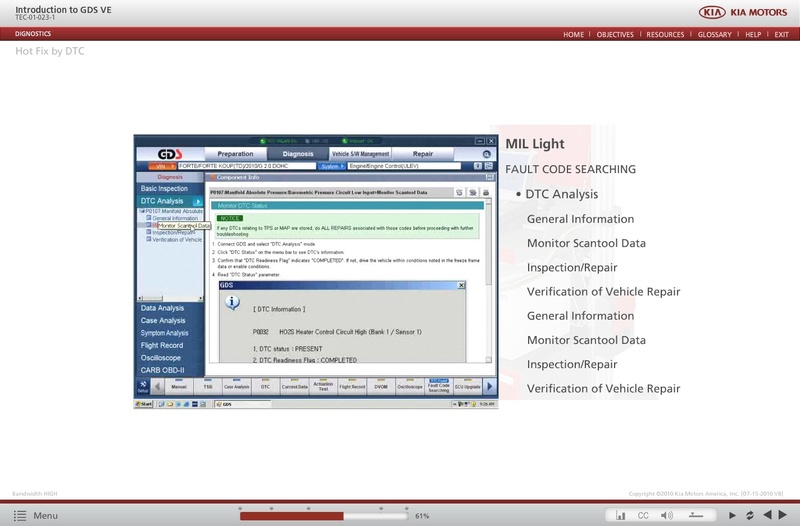 piXvfm created the SCORM based interface for Kia University. 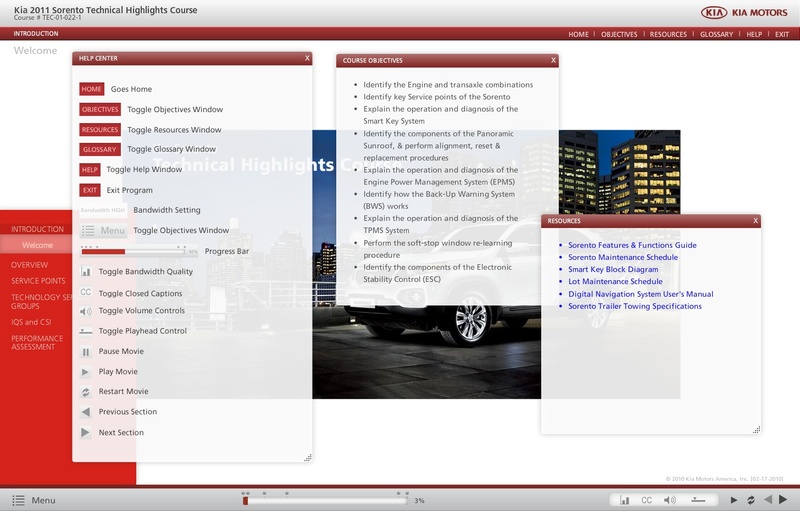 This interface delivers E-Learning interactive web-based courses for all of Kia Motors Dealership personnel. 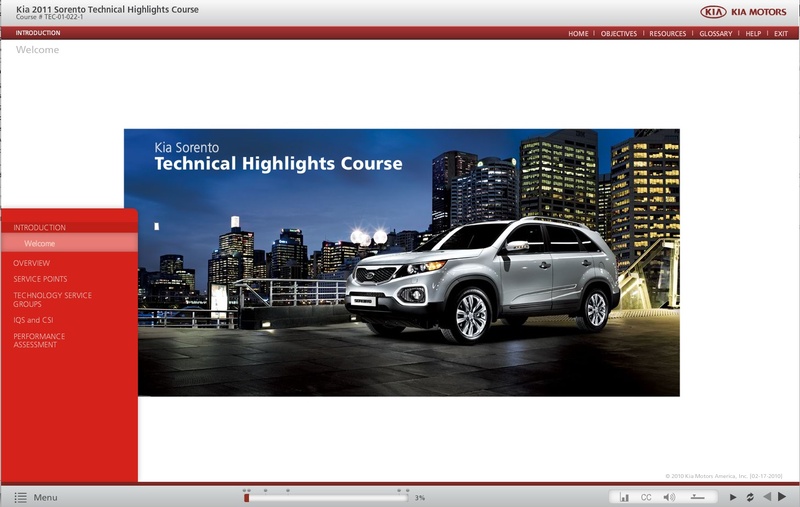 Developed in Adobe AS3 language, it allows Kia University vendors to deliver a consistent training "look" with easy to use navigation. 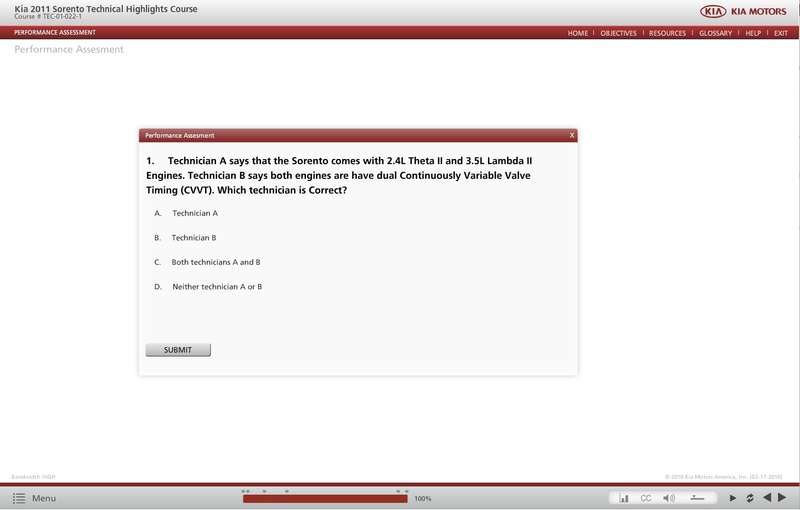 The interface delivers video, flash, text, knowledge check questions and exam question in SCORM legal format. Courses are easy to build and are driven by an XML data list which allows for fast and easy updating. Media can be positioned and sized easily with the external data list. piXvfm has won awards for it's interactive design and attention to easy to use interfaces. 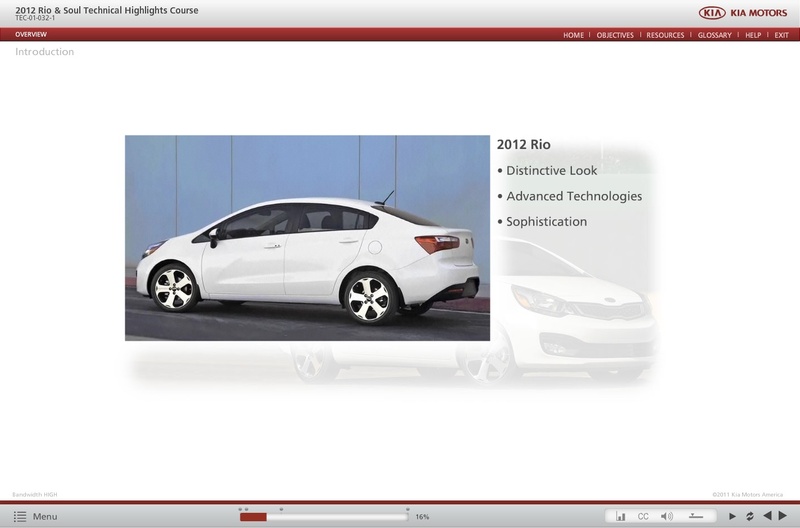 This led Kia to choose piXvfm for this important delivery tool of all their online training. piXvfm also created a Russian language version for Kia's Russian distributor.